The Town of OISEI Foundry and Casting. OISEI Foundry was established in 1683 in Hada-cho, known as the town of casting, in Mizusawa-ku, Oshu-shi, Iwate prefecture. We were incorporated in 1953, and we have been producing metal castings continuously for the last 330 years. About 70 large and small companies related to casting stand side by side, with our community working together to produce casting in the Hada area. 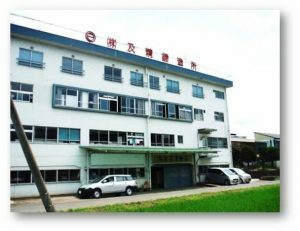 In addition, the district has an “Oshu casting technology exchange center” in which a casting union, Iwate University, and the industry-academia-government of Oshu together have been committed to the development of casting technology. OISEI Foundry Co., Ltd. is anything but a big company, having about 50 employees (with an average age of 38). Because of the great potential of this industry in the region, it is our aim to grow day by day to provide castings that satisfy our customers, while taking advantage of the experience that we have accrued for many years. OISEI Foundry is well versed in high-mix low-volume production using two kinds of melting furnaces, cupolas and electric furnaces, and automatic molding machines. We produce two qualities of materials, gray cast iron and ductile cast iron. In addition, we put special effort into producing Nambu ironware, which is a unique product from Iwate. Copyright © 株式会社及精鋳造所 All Rights Reserved.